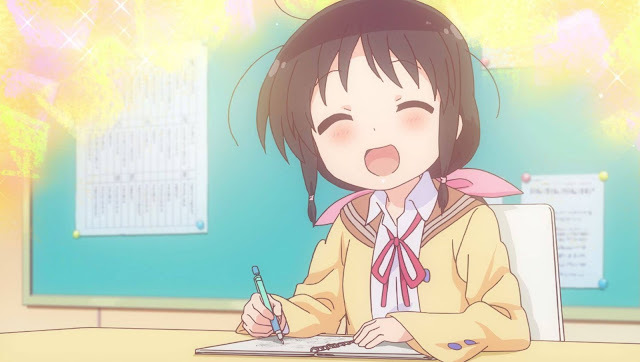 There is bound to be that one feels good slice of life show every season to help you relax after watching a bunch of action filled or depressing, serious anime. Its main purpose is to help cleanse your souls and gives a relaxing, happy feeling to the mind. 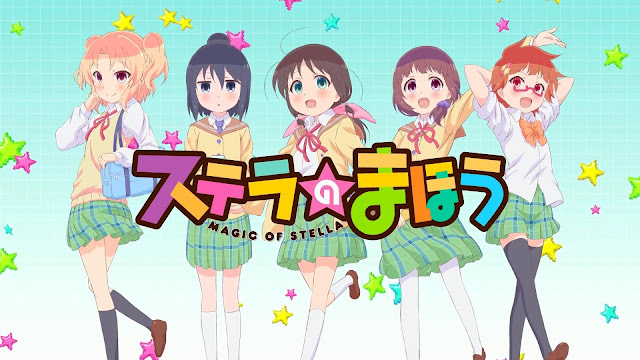 Stella no Mahou is the exact anime that fits the description. It is an anime that doesn't take itself seriously, have a simple, enjoyable story coupled with cute characters doing cute things. It is one of the underrated anime this season, mainly because it is not one of the main dishes, but rather serving as a dessert. But a rather sweet one at that. WHAT IS THIS CUTE CREATURE? 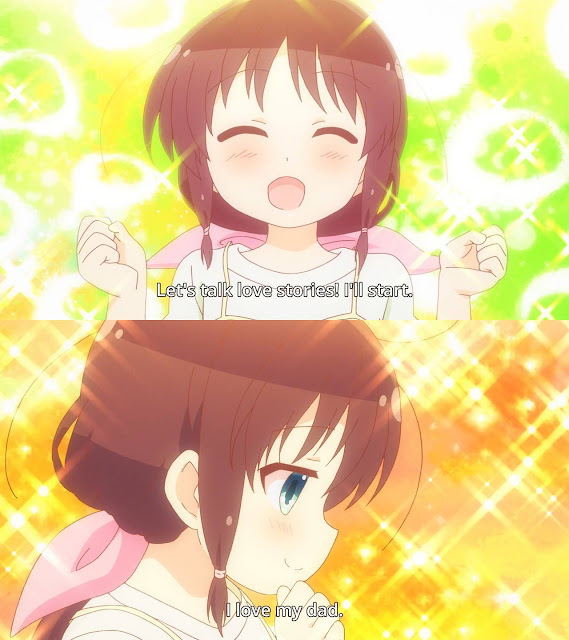 Stella no Mahou have a very simple and straightforward plot. 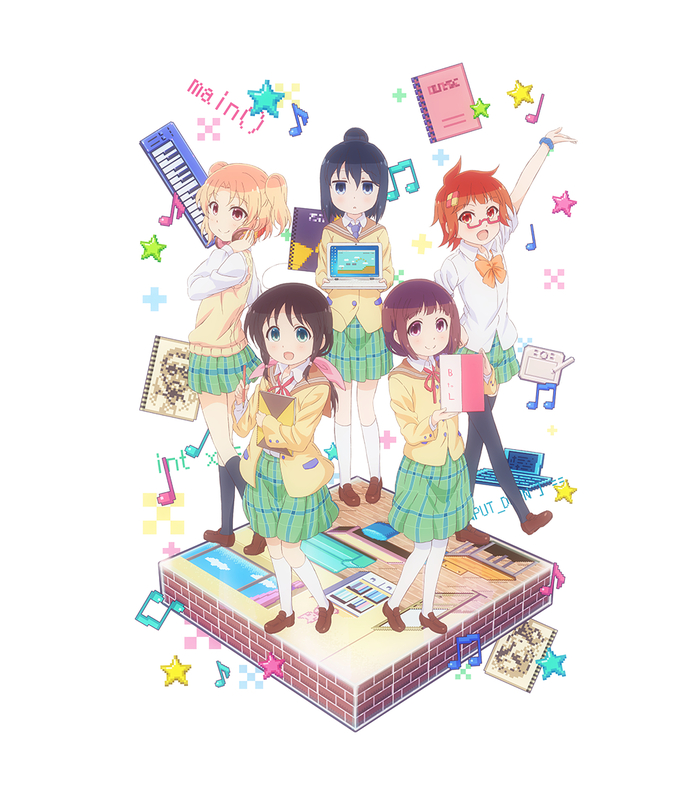 A bunch of cute high school girls making video games together with slice of life theme fitted in between. 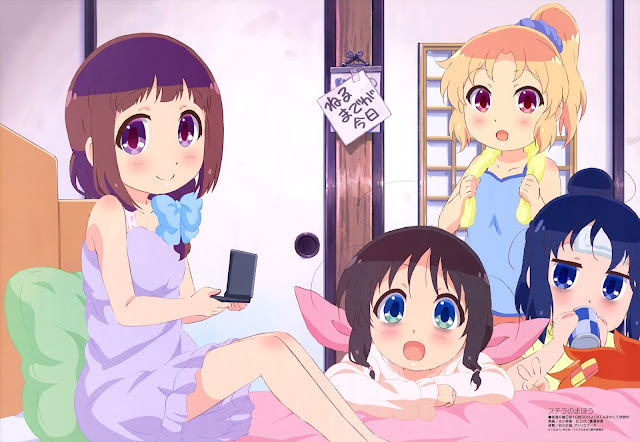 For starters, there were a lot of anime with its main story having the characters making video games as its core story, and this is no exception. In any case, it does feels like New Game but less technical with the video game making part, and more of the characters itself. The story is nothing special and mostly predictable, but fun to watch nevertheless. It doesn't take itself to seriously, moving at its own slow pace, and keep the interaction between each characters interesting with a some comedy here and there. It is nothing extraordinary through and through. But just like what I've said before, that is fine for a slice of life anime. There are some progressions in a sense that the group managed to accomplish their goals later on, just to make each chapter to be coherent with each other. All in all, while the story is nothing great, it manages to do its job perfectly well. The main character in the anime is Honda Tamaki, probably the cutest character we had this season. Her design and personalities screams "moe" and "I want to protect this girl". She had a soft voice, a very cute expression, with messy hair and oversized uniform; it's a definition of cuteness. One of her most memorable characteristic is her passion for old men. 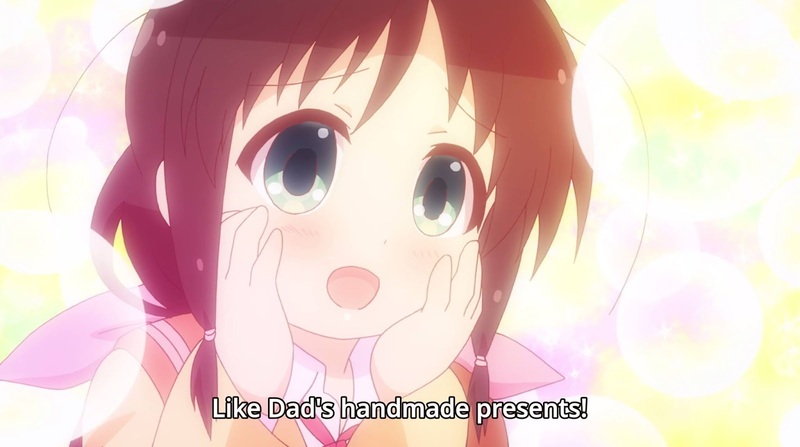 In fact, the reason why she loves to draw them in the first place is because the pure, unadulterated love for her father. It is a refreshing and cute traits. Other noteworthy characters in the anime include her fujoshi friend Fuda Yumine, who acts as an emotional support, and 3 others seniors in her game making club. Murakami Shiina is the president of the club, where she is soft-spoken and can be rather pessimistic at time. Seki Ayame is a more outgoing club member, but can be reliable when it counts. Her embarrassment towards her 'dark history' is a running gag of the show itself. And finally we have Fujikawa Kayo, who is the laid back, cool type of member who I wish were given more development. There were also some other characters that join in once in a while, but doesn't have that much screen time to be that significant. 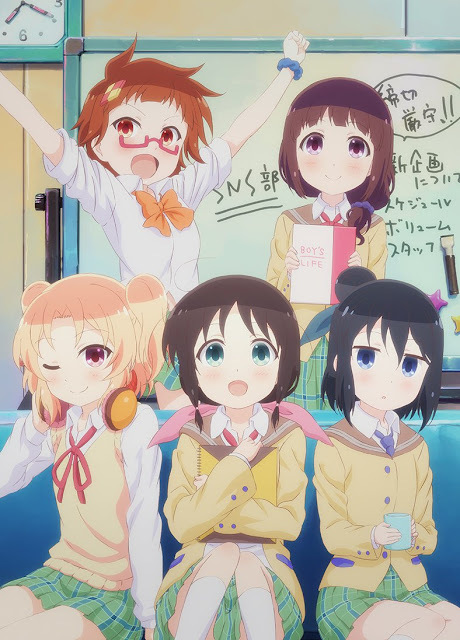 All the character are mostly rather generic in design, which is a slight problem in itself considering that where slice of life lacks in story is its strong characters lineup. But it has a passing score, to say the least. She is the perfect daughteru. The art and animation done in Stella no Mahou is done spectacularly. Again, this is such an important aspect for this kind of genre. It had a very beautiful and vivid colour palette, mostly soft and pleasant to the eye. 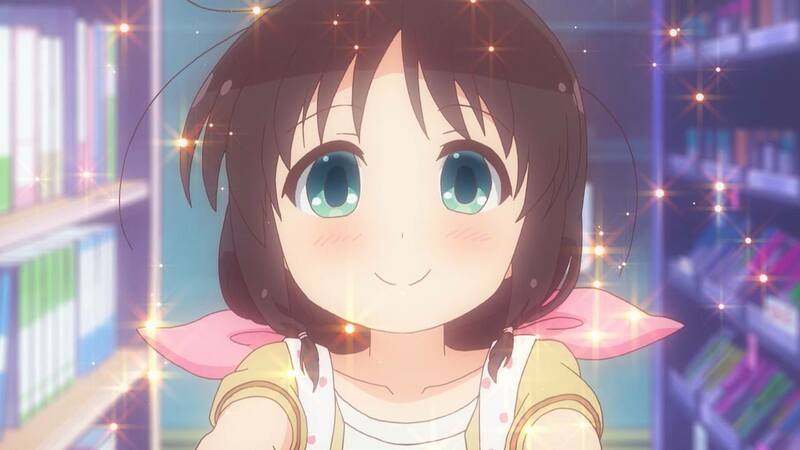 The characters are very cute, and special effects like sparkling or flowery background amplify the factors even more. It even feels like a scene out of a painting at some point, which is saying something. The animation is decent with little quality issue. It doesn't have a 'sakuga' level animation but good enough for an anime of its genre considering its slow, relaxing pace. The OP song is very cheerful and catchy which suited the anime, while the ED is a little bit off, with its electronic trance music (no idea why they have to go with it but whatever?). The ost used are fine and fits with the overall mood. All in all, the quality is decent enough. Stella no Mahou is a relaxing anime that soothe your heart with its easygoing story and moe characters. It is nothing stellar; just an average "cute girls doing cute things" anime, and you won't really missed much from not watching it. Yet, this anime is one would call a light upon some of the other depressing anime this season had. Fan of slice of life would probably love it, while a more serious anime fans would probably ignore it. 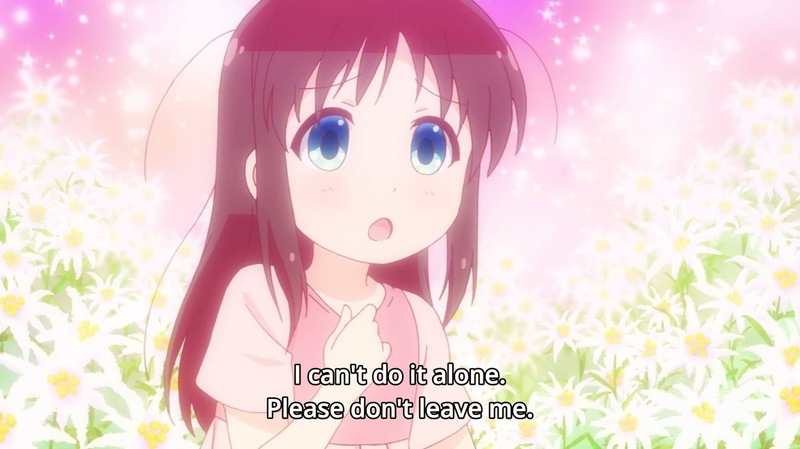 But alas for me, it is a decent and enjoyable moeblob anime that I had watched this time.